In die groeven alleen al kun je een flinke reis afleggen. Geweldig beeld. Nice portrait and excellent photoblog! Thanks to write how did you take the photos. 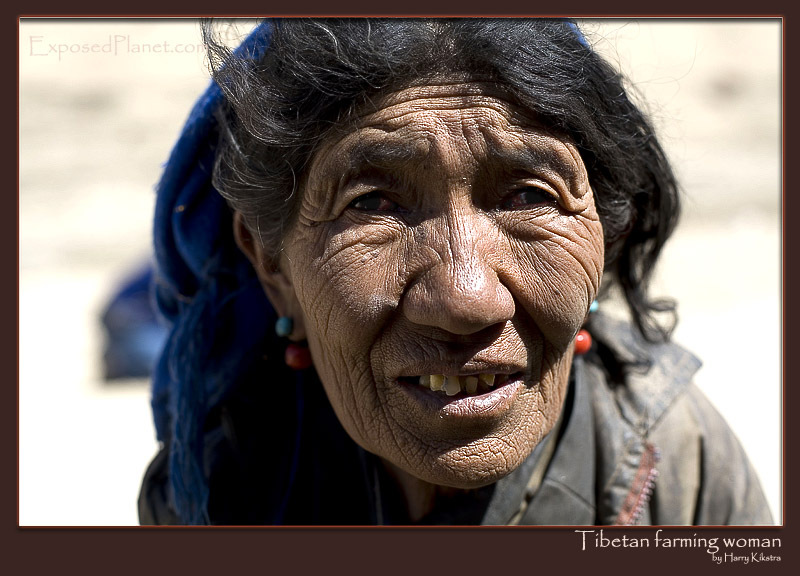 The story behind "Tibetan farming woman close up"
Shame I could not speak her tongue and had to move on. Would be interesting to sit with a family like hers and hear their stories. Amazing how these people can live under such hard circumstances, they are so tough compared to the people we generally breed in the protective western lifestyle.